In 2013, Zai began to further develop this interest in the Malay world that existed before the region was Islamized in the 13th century. He then retraced history back to 684 (B.C), the year when Dapunta Hyang, the ambitious king of Srivijaya Empire, behan his journey to conquer Southeast Asia from the Straits of Malacca, the Sunda Straits, the South China Sea, the Java Sea, and the Karimata Straits. At one time, it was said that Dapunta had a fleet of 20,000 men with him. However, this part of the Malay history is largely forgotten by the Malay people. 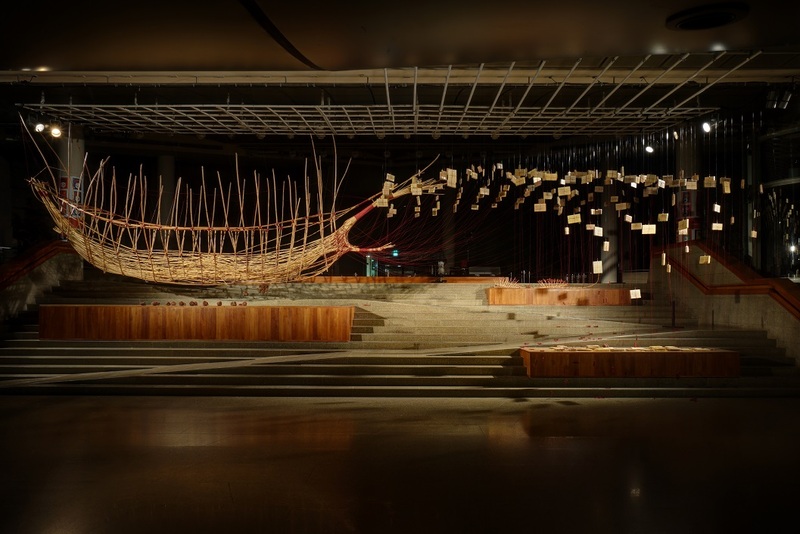 In Zai’s solo exhibition at Ota Fine Arts (Singapore) in June 2014, he created a large installation titled Dapunta Hyang Mapping the Melayu, a piece that attempts to put together the visionary leadership of the Malay King, a life line that connects the Malay people, the sea, and a forgotten history. Later, inspired by the mythical account of Dapunta’s massive fleet, Zai, whose ancestry came from Bugis Makassar, began looking into the craft of ship building, particularly at a design based on a 13th century Phinisi schooner of the same ancestral origins. The Phinisi boat combines the design of a fishing boat with that of a warring ship. Rattan was chosen as the primary material for its tenacity. 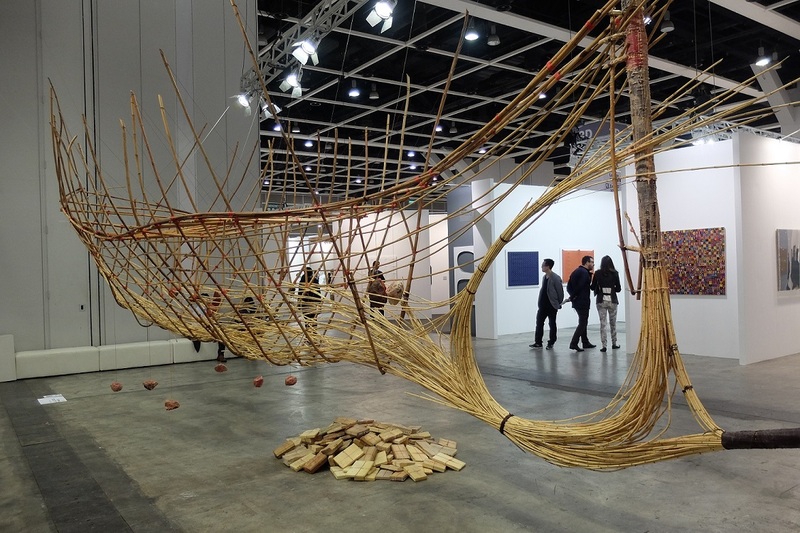 Artist Mohamad Riduan collaborated with Zai to work on the execution of the installation. 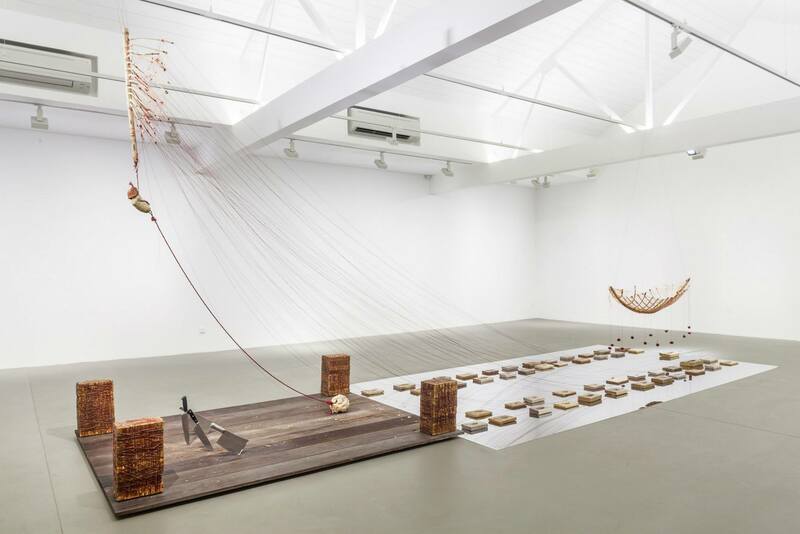 A series of installation titled Dapunta Hyang – Transmission of Knowledge was subsequently presented at Institute of Contemporary Arts (Singapore), Esplanade (Singapore), Art Basel (Hong Kong), and Palais de Tokyo (Paris). Currently, the team is working on realising the scale of a warring ship to be presented in the later part of the year. In 2003, Zai came to encounter a Mak Yong troupe residing on a small island called Pulau Mantang in the Riau Sea near Tanjung Pinang (Indonesia). Mak Yong is an ancient Malay opera that is influenced and informed by animism and hinduism. In Kelatan, for instance, this form of opera is banned as it contradicts Islamic values. To Zai’s surprise, the Mantang troupe has not performed for decades due to a very different problem – a long standing argument between two leaders. One of them took the masks, and the other took the instruments. As a result, the troupe rarely performed and when they did, they were performing adulterated and incomplete versions of the opera in official cultural events. Hence Zai extended an invitation to the troupe to have them perform a full length opera on a neighbour Dendun island. Through this experience and a couple of other times where he invited them to perform in Singapore, he got to understand many of the problems they face in continuing the tradition. The film was however put on hold due to the complexity of the narratives and the need to fully understand and document these people over a longer period of time. 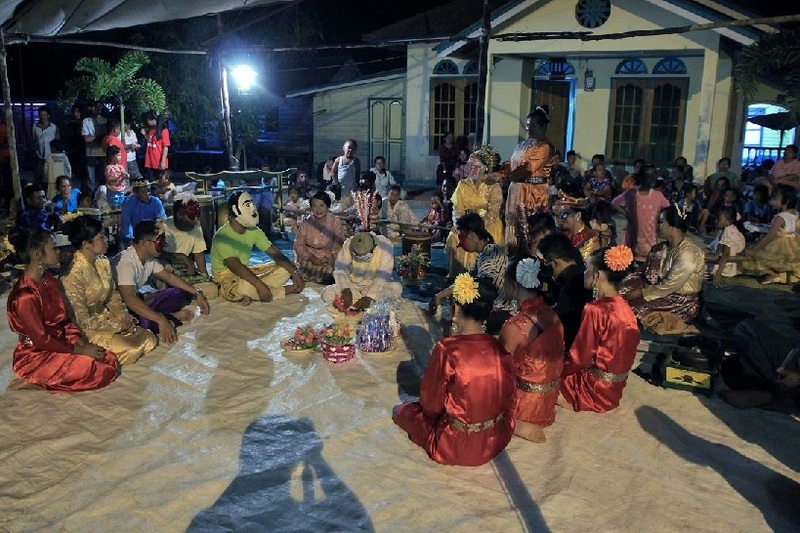 In 2014, with the support of Creation Fund from National Arts Council (Singapore), Zai returned to Mantang to invite the troupe to perform a full opera in their own island over three nights, to enable the younger generation to experience their own living heritage. The troupe revived an old story about the character Harimau (tiger), which has not been performed for close to 40 years. The film is currently in its post-production phase.